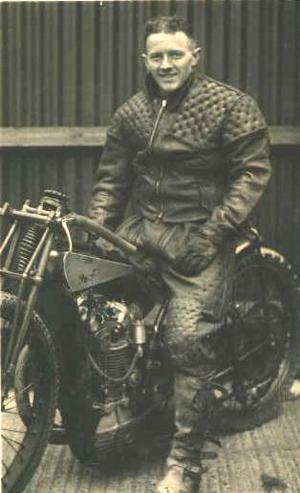 Bruce Wilkinson is the nephew of the great "Bluey" Wilkinson. Bruce has supplied some of his photo collection of "Uncle Bluey" for us on "JustSolos". Thanks, Bruce. 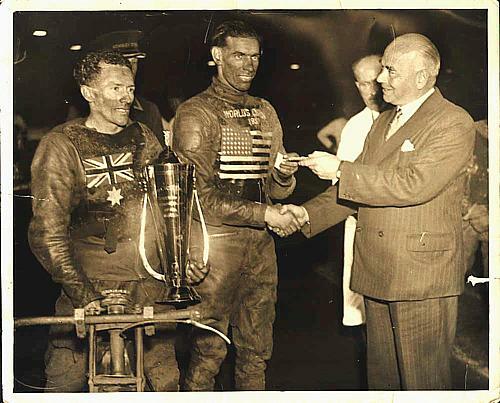 American ace, 1937 World solo Champion, Jack milne receives his congratulations for second place in the 1938 World Solo Final at Wembley. 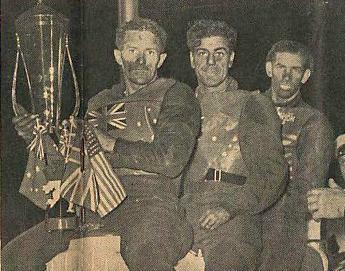 1938 World Champion, Arthur George "Bluey" Wilkinson of Bathurst, Australia stands proud on the left with the winner's trophy. 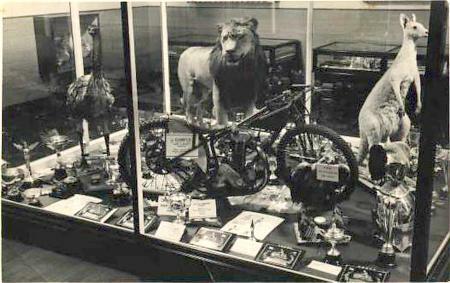 "Bluey" took 2nd place in 1936 to Lionel Van Praag and Eric Langton. 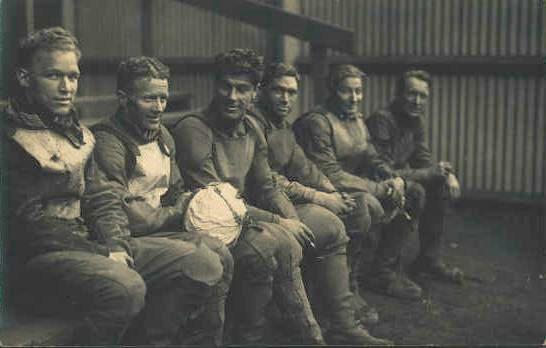 Tom Farndon, "Bluey", Lionel Van Praag, "Tiger" Stevenson, "Dicky" Case and Max Grosskreutz. One of the best photos I have ever seen of "Bluey". 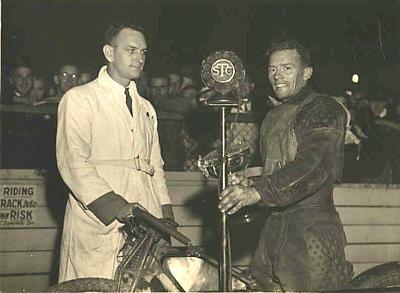 "Bluey" accepts another trophy for another win. 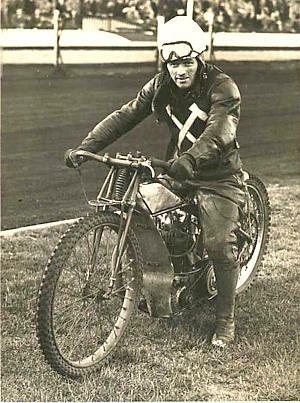 A tribute to "Bluey's " Speedway career at Bathurst, NSW. "Bluey's" home town. The first three ever World Solo Champs. 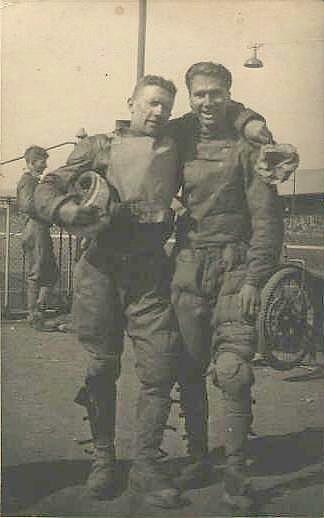 "Bluey" 1938, Lionel Van Praag 1936 and Jack Milne 1937.